The West Indies fast bowler Miguel Cummins has joined Worcestershire for the final three rounds of the County Championship Division Two campaign. Worcestershire have signed in-form West Indies paceman Miguel Cummins for the finale to the Specsavers County Championship campaign. The 25-year-old, who made his Test debut against India last month, has been brought in as a replacement for South Africa’s Kyle Abbott, who was called up for Test series with New Zealand. The Barbados-born Cummins has a career record of 125 first-class wickets in 44 matches at 22.44. He is scheduled to arrive at the New Road, Worcester on Monday and could be available to play Essex followed by games against Sussex and Derbyshire. 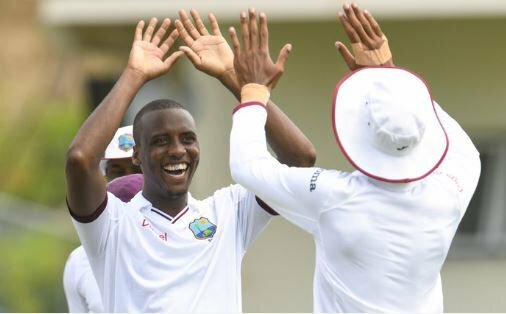 In the recent Test series against India, the pacer picked up nine wickets on his second appearance, including a second-innings haul of 6-48, that makes him the most successful fast bowler in this year’s WICB cricket league, with 33 at 20.69.